Magic Carpet Cleaning is a company offering variety of cleaning services such as end of tenancy, carpet and upholstery cleaning in Parsons Green SW6 at competitive rates. Our certified carpet cleaners have years of experience in the business and know how to provide superb results no matter the size, condition or the fabric of your carpets and upholstery. 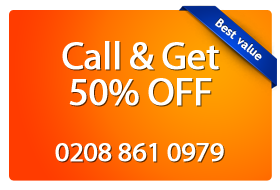 Free advice and free quotes on 0208 861 0979 call us now or use the form below! Our Parsons Green carpet cleaners teams cover all the boroughs in this area and are fully trained, qualified and prepared to tackle any job, regardless of size or complexity. We provide hot water extraction and dry carpet treatment as two of our best services packs for the North London boroughs. Another one of our strongest services, the upholstery cleaning services pack for North London boroughs covers all the areas in the north of the Capital. We’ve fully trained our cleaners teams to provide fantastic quality upholstery cleaning such as mattress cleaning, spots and stains removal and deodorising. Stains removal is yet another cleaning service we provide to North London residents and businesses, on a regular basis. With well over seven years of experience, we know that tackling spots and stains — even those made by pets — can be a tedious task, one which our North London cleaners are always there to deal with. Many of our customers and businesses already use our rug cleaning services, based on the fantastic feedback we get from our customers. With anything from Modern rugs, Afghan, Oriental, Persian and even synthetic rugs covered by our local cleaning services, you can rest assured that your rugs will be properly taken care of. They’ll look newer and smell fresh, too. Is your tenancy in North London ending soon? Are you looking for a reliable, fully qualified cleaning agency with staff fully trained to our industry’s standards? Well, you’ve come to the right place, as we provide unmatched end of lease cleaning services on a regular basis and we’re really great at what we do. and around the Parsons Green Park area. Remember: We guarantee your satisfaction with our carpet cleaning services in Parsons Green, SW6 West London or we re-clean for free. Call 0208 861 0979 NOW!